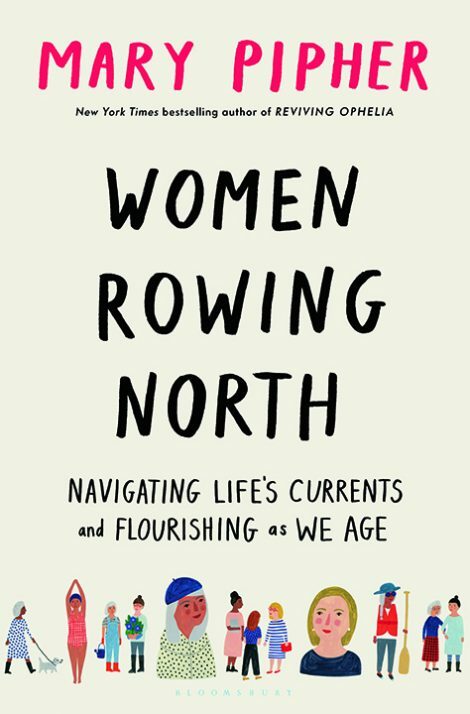 From Mary Pipher, the New York Times bestselling author of Reviving Ophelia, Women Rowing North is a guide to wisdom, authenticity, and bliss for women as they age. In Women Rowing North, Pipher offers a timely examination of the cultural and developmental issues women face as they age. 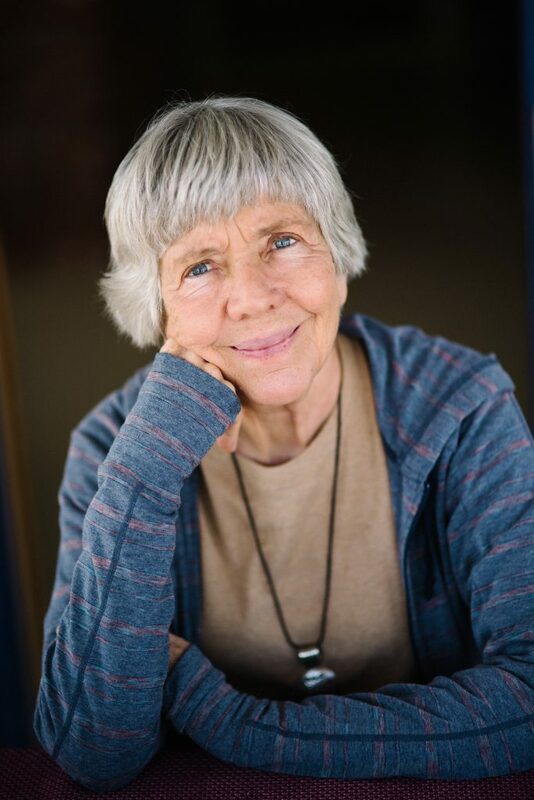 Mary Pipher is a psychologist specializing in women, trauma, and the effects of our culture on mental health, which has earned her the title of “cultural therapist” for her generation. She is the author of several New York Times bestsellers, including Reviving Ophelia, The Shelter of Each Other, and Another Country. She lives in Lincoln, Nebraska. 1. The book’s title, Women Rowing North, evokes the common metaphor of life as a stream and also the visual of navigating the current, both as a single kayaker and in community as a larger crew of supportive women. Before beginning this book, how would you have described your life? What does your vessel look like, your stream’s current, your crewmates? A lone dinghy on the open sea? A river cruise in full swing? Has that view changed by the conclusion of this book? 2. Each chapter starts with a small collection of quotes. Which, if any, provoked strong emotions of agreement or disagreement, and why? 3. In the introduction, Dr. Pipher discusses the extended life expectancy in various countries, the difference between being young-old and old-old, and how the shift from one to another is based on life experiences rather than chronological time. How would you classify yourself and why? 7. In early chapters, Dr. Pipher talks of crucible moments and of the transformations that can come from defining events. What crucible moments have defined your life, and how have they changed you? 8. In Chapter Eight, the author tells her niece, “You can’t navigate from there to here if you don’t know where you are.” She then ties that advice to knowing ourselves before we chart our course. Each woman’s path is unique, but which of the women in the stories most resembled you? Independent Kestrel? Accommodating Emma? Career-driven Willow? Overburdened Sylvia? 9. The same chapter also discusses the difficulty in saying no and the freedom in using that word judiciously. Do you find it difficult to say no? How can you set reasonable limits for yourself? 10. Chapter Nine discusses intentionality, especially intentionality in wealth, whether that be financial wealth or an abundance in other resources. One definition of wealth Dr. Pipher offers is “the number of people I am in loving relationships with.” How do you define wealth? 11. In discussing how to build a good day, Dr. Pipher explains the difference between a minimizer and a maximizer. A minimizer is happy with “good enough” while a maximizer, always wants a little more. Which category do you fall into? What are the advantages and disadvantages of both categories? 12. On page 149, Dr. Pipher writes “We can slowly train ourselves to think in stories that allow us to flourish. We hone our skills in perspective taking, emotional processing, and reframing. Stories of joy, kindness, and courage empower us in ways that the culturally stereotyped narrative never does.” Think back to a difficult time in your life. What narrative did you craft in the moment? How did it affect how you reacted? And, in looking back, has that narrative changed over time? 14. Part of who we become is rooted in our experiences from childhood onward, in the people we have met, and in the choices we’ve made. Few of us have become who we set out to be. Think of who you were in a crucial time of life—as a young child, as an uncertain adolescent, as an independent young adult, or as a middle-aged woman. What would that version of you think of who you’ve become today? What would she like? Be surprised by? What are your proudest areas of growth? 15. Near the end of the book, the author’s friend Sally exclaims, “Getting old is a freaking privilege!” Do you agree or disagree, and has that view changed at all while reading Women Rowing North?